Freedom Day USA has been featured by many media sources! Below are the articles, news broadcasts and videos that our National Thank You Movement have inspired. We thank the members of our media community for helping us spread the word about Freedom Day USA. For, they are helping us say "Thank You" to those who sacrifice for our freedom! ​Freedom Day USA has been featured in Dental Products Report! To see our article, click here! Freedom Day USA is Featured on CBS News - Channel 4, Denver, CO - click HERE to watch! ABCNews Channel 13 reports on Freedom Day USA - click HERE to watch! Channel 5 News! Click here to watch! KHOU Great Day Houston! Watch the feature here! ABC News Channel 4 - Spodak Dental Group in Florida is featured here. News Channel 5 at Noon! Bill O'Reilly, Host of the O'Reilly Factor plays Freedom Day USA Video! "The Profitable Dentist" Magazine featured Freedom Day USA in their Spring 2014 Issue. Click here to see the article, on page 63. Freedom Day USA is Published in "DENTAL ECONOMICS" July 2013 Feature Article! Click here for the electronic version! Connect Bridgeport Feature Article - click here! West Virginia Executive Magazine Online Publishes Freedom Day USA Feature - click here to view! Freedom Day USA Featured in the Mercury News...click here to see the article! Your Houston News - Freedom Day USA Article...click here! 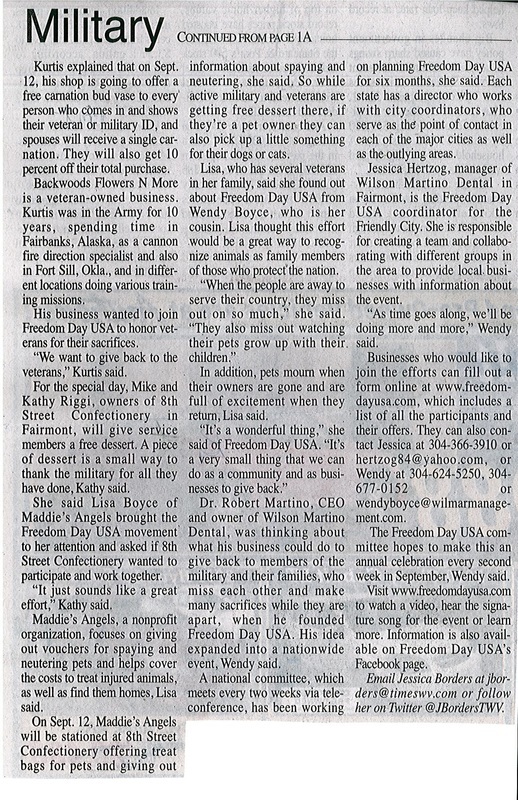 The Journal, New City, NY features Freedom Day - click here to read! 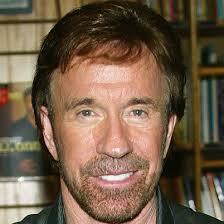 Chuck Norris mentions Freedom Day USA in WND Article! "On behalf of millions of Americans, my wife, Gena, and I salute Richard Overton and all of America’s veterans, pray for those active in service, and humbly bow in thanks for our fallen heroes who gave their lives that we might live ours. (Please, mark your calendars on Sept. 12 and participate in FreedomDayUSA.com, when businesses across the country will show their appreciation to U.S. servicemen and women by providing free goods and services to them and their immediate families.)" We're In the Southport Times, click here to view the feature article! 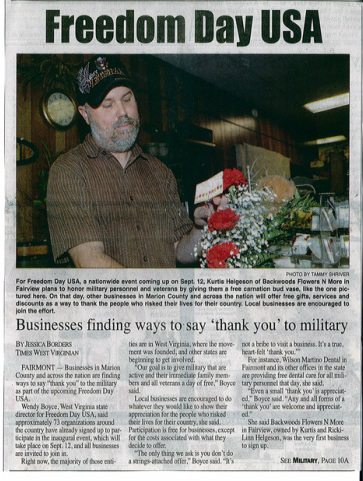 Read the Freedom Day USA Article in the Press Democrat, click here! The Brookline Patch features Freedom Day USA! Click here to view the article! Maryland Freedom Day USA Participation discussed on PR Web, click here to see it for yourself! Freedom Day USA in the Woodlands? Click here to learn more!